The MFA in Writing program at Lindenwood University focuses on the study and practice of the craft of creative writing. Lindenwood University offers the opportunity to earn a Master of Fine Arts (MFA) degree in Writing. The MFA is a 48-credit-hour program, including a final Graduate Thesis, allowing students to take courses on-campus or online in a wide variety of writing genres. We offer workshops, craft classes, and literature classes in small class settings, designed for individualized feedback, skill-building, and personal growth in a challenging but supportive environment. 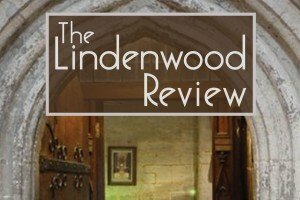 Students also have the opportunity to serve as editorial assistants on The Lindenwood Review, the literary journal produced by our program. Our program offers dedicated instructors (including writers such as Tony D'Souza, Wm Anthony Connolly, Kali VanBaale, and Eve Jones), a flexible and extensive curriculum (including courses in literary fiction, genre fiction, the novel, poetry, prose poetry, creative nonfiction, and many specialized focus areas), opportunities for accelerated degree completion, the option to complete the MFA degree fully online with no residency requirement, and a strong writing community. The MFA in Writing is a selective program, contingent upon acceptance of a creative writing sample and statement of purpose. This ensures that all students are at a point in their writing development where they are prepared for an intense focus on their writing, and that they are well-equipped to give useful feedback to other writers. We are looking for students with strong writing skills, an understanding of the craft of creative writing, and a willingness to continue growing as a writer. Visit our Prospective Students page for full details about the MFA submission process and additional university admissions requirements. For more information, contact us at MFAdirector@lindenwood.edu. On-campus MFA students meet once per week from 6 p.m. to 10 p.m. to earn 9 credit hours in each 12-week quarter. Students also attend one literary reading or event each quarter. Students who choose to take all coursework on-campus can complete the degree in one year and three months, if the thesis is taken along with the final cluster. Students have up to five years to complete the degree. To further accelerate the degree program, students may enroll in one online class along with each cluster for three quarters, then take the thesis with a fourth cluster, to complete the degree in one year. The MFA in Writing is available in a fully online format. Fully online MFA students have no residency requirement. Online students are welcome to take some coursework on-campus if preferred; however, all coursework, including the final thesis, may be taken fully online. Online students may enroll in one, two, or three 3-credit classes per quarter (at least 6 credit hours per quarter are required to apply for financial aid/student loans). If three online classes are taken each quarter, with the thesis taken along with the final three classes, students may complete the program in one year and three months. Most fully online students take two classes per quarter, with the thesis taken along with the final class, to complete the degree in two years. Students have up to five years to complete the degree. Online classes are offered through Canvas. MFA students are required to participate in class a minimum of three times per week (to take part in discussions, post workshop pieces and responses, write journal entries, etc.). Assignment due dates occur throughout the week; students are not required to log in to class all at the same time. Each week, students click on a weekly module for assignment details and due dates. MFA faculty members have an active presence in classes on Canvas, giving feedback on workshop pieces and participating in class discussions. The MFA in Writing degree offers an option for students to declare an emphasis in one of the following genres: Fiction, Poetry, or Creative Nonfiction. Depending on personal coursework preferences, students may prefer to declare an emphasis to focus primarily on one genre, or students may pursue the general MFA in Writing degree, with classes in any genre allowed. An emphasis requires a minimum of 27 credit hours in the emphasis genre, including at least one required Foundational class. The remaining credit hours in this 48-credit-hour program may include coursework in any genre. The final thesis must be primarily focused on the emphasis genre. Students work with an advisor to ensure proper emphasis coursework is completed. Tuition is $480 per credit hour, plus a quarterly $75 technology fee. The MFA in Writing is a 48-credit-hour program. 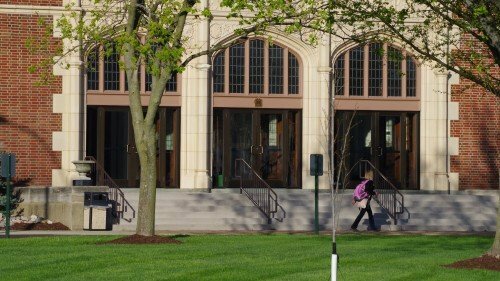 Lindenwood University does not offer MFA-specific scholarships or Teaching Assistantships (but our Fundamentals of Writing for the MFA class includes preparatory information for students who plan to teach after graduation). Complete the FAFSA to apply for other financial aid and student loans. For information about any other grants or scholarships that the university may offer, contact Admissions at 636-949-4949 or Financial Aid at 636-949-4923. Lindenwood University's student support services are offered to all students. We know that many working adults may have had an extended time away from a college environment; we have a system in place that ensures you'll have academic support, a full-time faculty advisor, and assistance with the financial aid process.